Not being a watcher of Fox or any other type of network news I missed this recent story. But you can watch the video below. A Fox News anchor responded to a recent suggestion by someone that Santa should no longer be portrayed as a white man. The person suggesting the change in Santa perception is an African-American woman who is trying to relate her experience growing up in a racially charged setting in which the bringer of Christmas cheer looked a lot like those who also brought pain and oppression to her life. The anchor thinks the whole thing is silly because, after all, Santa is white! Up to this point in the report I sat scratching my head wondering why they were arguing over the race of a mythical figure. True the modern day Santa Claus has a distant relation to the fourth century bishop Saint Nicholas, but apart from the name there is little of the modern Santa myth that represents the historical person. But people will sometimes enter into silly arguments without thinking about, well, just how silly they are being. But it was the anchor’s next move in the argument that got my attention. She compares the “fact” that Santa is a white man with the other well-known “fact” that Jesus was a white man. It was at this point I realized that this news anchor was doing more than perpetuating misinformation about Santa, she seems to also be under the delusion that Jesus was raised somewhere in Northern Europe. So with that, ahem . . . I was quite uninterested in your argument until you mentioned Jesus. 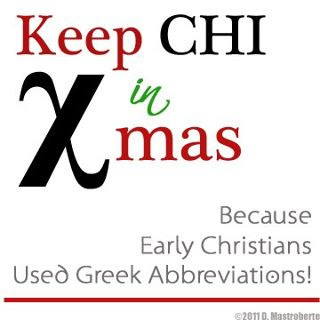 Yes, I know that Christmas is supposed to be about Jesus. But your analogy that Santa is a white man just as Jesus is a white man demonstrates, well to put it delicately, a level ignorance that should not be evident in someone who is supposed to be providing information to the masses each day. While I realize that you have probably only seen pictures of a white Jesus, I think you should know that those are not authentic photographs. In fact, we have no genuine pictures of Jesus since, well, photography had not yet been invented. Moreover, Jesus was, it seems, a very busy man, always on the move and it seems he never sat anywhere long enough for someone to even make a rough sketch of him. Furthermore, and more to the point, Jesus was a Jew living in Palestine in the first century of the Common Era. This means, therefore, that he would not have been white, but olive skinned, if not darker. I have often told my students that if they want a good idea of how Jesus might have looked they should walk through a Palestinian village in the West Bank or Gaza and observe some of the men there who have spent their lives laboring in the heat and sun of the Mediterranean climate. 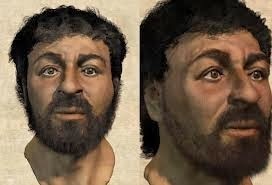 Someone from the BBC figured this out a few years back and created a composite of what Jesus might have looked like (see pic above). Jesus was certainly not a white man. So in the future, Ms. Kelly, you would be better served if you didn’t assume that just because you saw a picture of a white Jesus, or a white Santa for that matter, that this means you are looking at the real thing. After all, no one has seen Jesus in over 2,000 years nor has anyone seen Santa. Unless you are among the naughty who spy on the jolly, old elf when he stops to deposit gifts at your home. Or perhaps you saw mommy kissing Santa Claus. In any case, Jesus was still not a white man. Ps. Saint Nicholas, the historical source for the mythic Santa, was Greek and lived in what is modern day Turkey, also a Mediterranean country. So, like Jesus, he wasn’t a white man either. For a less snarky response, see the post by my friend Allan Bevere: What Color is your Jesus? I have heard about this story before. A Texas oilman and 30,000 investors are looking for oil in Israel. 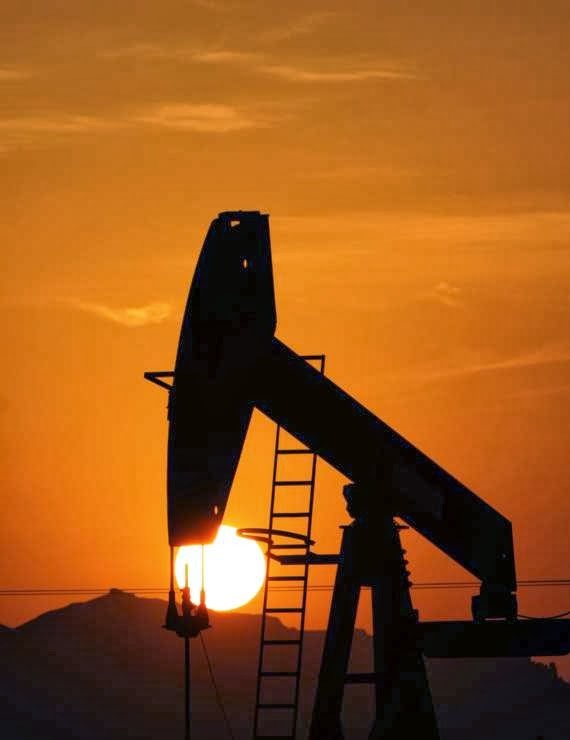 The emphasis is on looking since they haven't found any oil after drilling 4 wells and spending $130 million over the course of at least 13 years. The name of the company is Zion Oil & Gas. It was formed by its owner John Brown who sold his Michigan tool company after having a religious experience in Israel. He began a new company dedicated to the exploration for oil in Israel. One problem, Brown has no prior experience in the oil business. 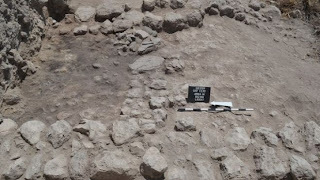 Zion's motto is geology confirming theology and have based their investigations on the words of Moses for the tribe of Joseph in Deut 33:13 which talks about blessings from things "lying below the deep." 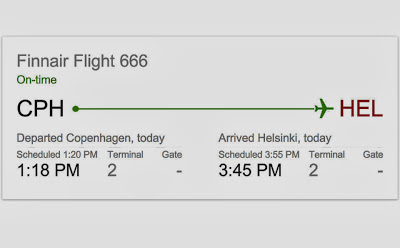 NPR has run a story on this adventure. It's easy to be sarcastic about this whole situation. I wonder, however, how many well intentioned people, including Brown, have wasted a lot of time and money based on poor hermenuitcs and misplaced zeal. One thing that is striking about the whole story is the level of personal and financial commitment people will sometimes make to projects like this one. I wish the same level was there for other projects like helping those in need. Listen to the NPR story Texas Oil Man Commanded by Bible Drills in Israel. Here is a video from Zion's web page. As my regular readers will know, I not only enjoy a good beer I enjoy brewing it as well. I still get strange looks from some who can't figure out how my occupation and hobby interact with one another. The simple answer is, usually not while I am working. I was, at one time, however, a member of group called God and Guinness. We would meet once a week in a pub and . . . well I think the name explains what we did there. But there are some who are now moving to introduce beer as a regular part of their worship service and evening hymn sings. NPR ran a story recently about how a a few churches are trying to stave off decline by holding services accompanied by craft beers. Here are some excerpts from the story. Leah Stanfield stands at a microphone across the room from the beer taps and reads this evening's gospel message. She's a 28-year-old leasing agent who's been coming to Church-in-a-Pub here in Fort Worth, Tex., for a year, and occasionally leads worship. "I find the love, I find the support, I find the non-judgmental eyes when I come here," she says. "And I find friends that love God, love craft beer." 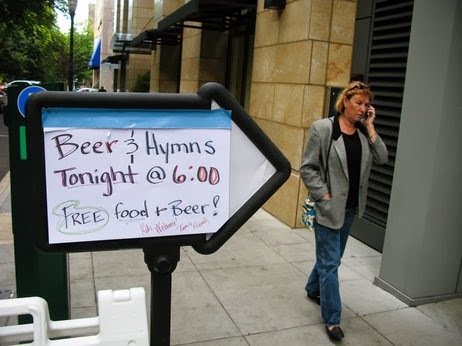 In downtown Portland, Ore., at the stately old First Christian Church, one Saturday night a month they open the parish hall for an event called Beer and Hymns. As much as I love both beer and theology, I do wonder to what end this sort of worship experience will lead. I am not sure if the ultimate reason they are gathering is so that they can focus together on the worship of God and the good news of the gospel or so that they can down a few beers. While meeting people who "love God and craft beer" does appeal to me, I do think, however, the church is about more than finding people who have things in common with us. Certainly that will be the case in many or our worship experiences, but I am not sure that should be what attracts us to one another. Moreover, while I am certainly not one to insist that all worship of God most take place in a church, I do wonder if moving the church into the bar will help attendees focus more on God or their beer. Proponents of this move call it a transitional experiment. They are waiting to see how this new church model will develop. I am wondering, however, to what degree do the attendees have any connection with the long history of the church. Do they have any sense of the sacred? Or has it been diluted along with the beer they drink while belting out hymns? Somehow I am not convinced this is a viable long term strategy. Perhaps someday I will have an opportunity to visit such a meeting. Here is the story n NPR. I must admit that this is probably the first time I have used the above descriptor in any of my blogs. But after reading Debbie Blue's article over at the CNN Blog I must admit that there is no better way to describe the birds of the Bible. 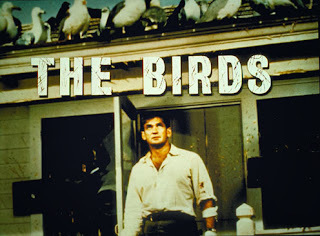 Birds are at the beginning and the end of the (Christian) Bible, but their roles vary from place to place. (CNN) – As long as humans have been breathing, they've invested birds with meaning. Congratulations to Jordan Messner and Lori Lower! 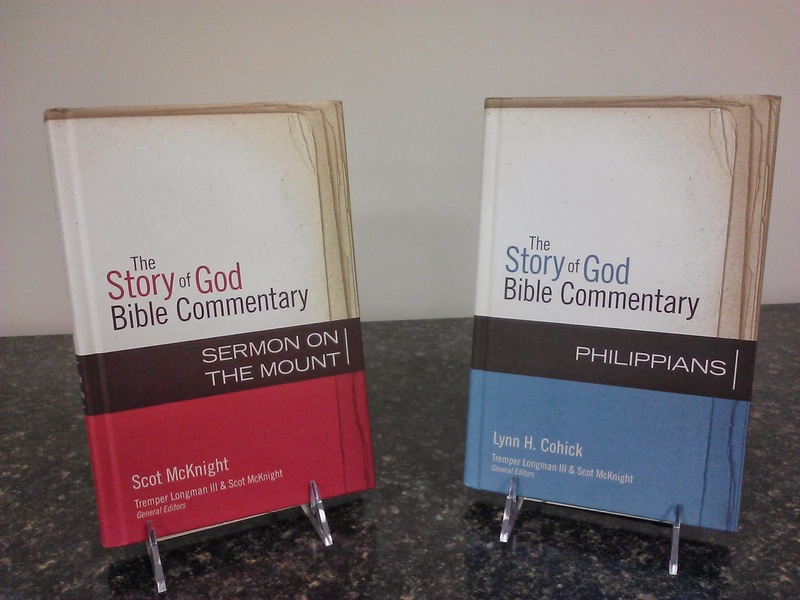 They each one a volume of the new Story of God Commentary series. Many thanks to everyone who participated. I will be posting more great giveaways in the future and will offer more Story of God Commentaries as they become available. The Gospel According to Britney Spears?! to keep this a family friendly blog. When Jesus Christ Superstar was released by Sir Andrew Lloyd Weber it was met with both critical acclaim and derision. While the critics thought it a brilliant piece of work, the faithful were not so sure. Now, more then 40 years later, the show is still running and even many of the faithful (myself included) have come to love the show. Britney Spears has met the Bible. SPEARS is an original musical that chronicles the life of Jesus Christ, telling the story through the hit music of Britney Spears. Creator Patrick Blute, 23, and the SPEARS creative team are holding a funder’s preview on November 7th in Studio A of the Foxwoods Theater. The musical tugs at the heartstrings of America’s lost twenty-somethings, calling on familiar hits such as “Stronger,” “One More Time,” and “Crazy,” to describe the birth, life, death and resurrection of Jesus Christ. I suspect many will object to Spears being referred to a "deity." No word yet on whether Spear's hit "Oops I did it again" will be used. 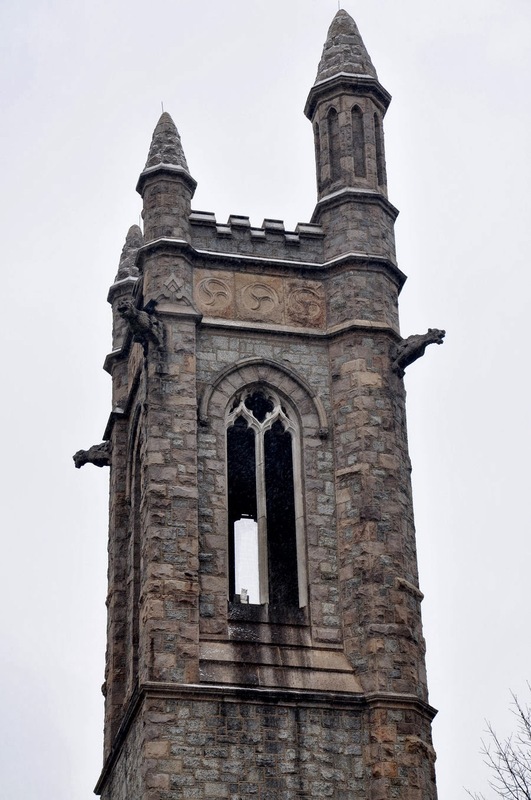 Does the Church Alienate Intellectuals? As a biblical scholar I will admit that it can be difficult at times to attend church. What I mean is, on the one hand my world consists of engaging biblical texts and theological topics at a level that many Christians won't. So attending a church service on a Sunday can be a bit like sending an adult to the childrens' Sunday School class. It's not that what is being taught is unimportant, it's just that I have already heard it before and I have different questions. 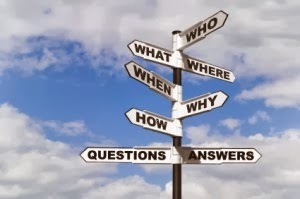 On the other hand, I have always tried to remember that not everyone, including the pastor, gets to live in the world I do and that those in the pews around me don't have the same questions that I do. A few years back I was fortunate to have a pastor who was careful to meet the needs of the congregation at large, but demonstrated intellectual rigor in his teaching and preaching. He is also someone who would (and still does after retirement) talk with me about issues which allowed us both to learn from one another. But not everyone is fortunate enough to have a pastor who is sensitive to the needs of those who we label the "intellectuals" (my readers will know my disdain for labels). Over at the Sojourners blog Stephen Mattson discusses the situation and what he sees as the problem. Here is bit of what he has to say. In a world where people are craving inspiration, growth, and information, many churches maintain a cyclical pattern based on redundancy, safety, and closed-mindedness. Unfortunately, many pastors and Christian leaders continue to recycle old spiritual clichés — and sermons — communicating scripture as if it were propaganda instead of life-changing news, and driving away a growing segment of people who find churches ignorant, intolerant, absurd, and irrelevant. As technology continues to make news and data more accessible, pastors are often failing to realize that they're no longer portrayed as the respected platforms of spiritual authority that they once were. Instead of embracing dialogue and discussion, many Christian leaders react to this power shift by creating defensive and authoritarian pedestals, where they self-rule and inflict punishment on anyone who disagrees, especially intellectuals. Intellectuals are defined as people who show a high degree of mental capacity. And while we often tend to associate intellectuals as professors clad in bow ties that attend fancy cocktail parties and publish award-winning books, there are no demographic, cultural, professional, racial, or gender restrictions on who can or can’t be an intellectual. There are no rules on who is and isn’t an intellectual — everyone has the capacity to be one! Mattson goes on to outline three areas that he views as contributors to the problem. What do you think? Is he correct? Are there other areas? Or is the problem with the intellectuals? 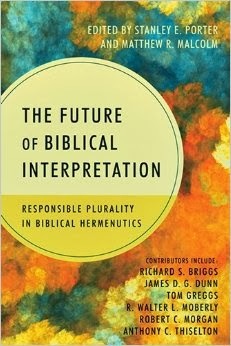 I am privileged to be a contributor to a new commentary series. The Story of God Bible Commentary explains and illuminates each passage of Scripture in light of the Bible’s grand story. The first commentary series to do so, SGBC offers a clear and compelling exposition of biblical texts, guiding everyday readers in how to creatively and faithfully live out the Bible in their own contexts. Its story-centric approach is ideal for pastors, students, Sunday school teachers, and laypeople alike. I am the author of the volume on 1 & 2 Thessalonians, which is with the editor now and will be available sometime next year. 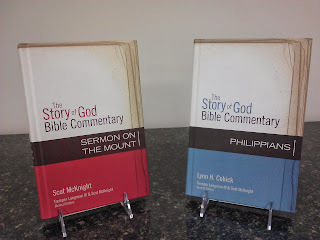 This week the kind folks at Zondervan sent me copies of the first two volumes, the Sermon on the Mount by Scot McKnight and Philippians by Lynn Cohick. In order to celebrate the release of these volumes I am giving away a copy of each. This means that there will be two lucky winners on the giveaway. The giveaway begins today and the winners will be announced on Monday, November 4th. It has been a while since I hosted a giveaway, so let me review the rules. Enter your name in the comment section below. On Monday, November 4th I will choose two winners and post their names. You will then need to contact me to get the books and you have five days to do so. O'Reilly admits he isn't qualified to write a religious book. In an interview with Fox News Bill O'Reilly admits that he isn't qualified to write a religious book. But I don't think he knows what kind of a book he did write. At one point in this interview he sounds like an evangelist. I do wonder how this interview, in which he claims to have written a "history" squares up with his claim in the 60 Minutes interview (below) that the Holy Spirit inspired him to write the book. Sigh, hopefully this will all go away soon. But I suspect there will be a whole new roll out in April in time for Easter. In fact, National Geographic is filming a special based on the book. I hope someone contacts those of us who know something about Jesus first. At one time the field of biblical studies was populated only by white males. Those demographics are changing quickly as more women and minorities enter the field. But there are still some challenges. 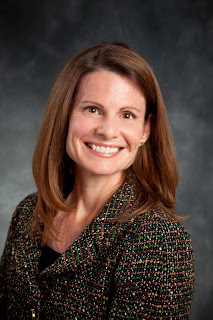 In a recent interview with Christianity Today Lynn Cohick, Professor of New Testament at Wheaton, talks about her recent commentary on Philippians and what it's like to be a female biblical scholar. Here are some excerpts. When I was a seminary student I didn't come across many commentaries written by women, so your contribution to this series is especially meaningful for women like me. Although women still face challenges as a minority in evangelical scholarship, are there any benefits of being a female in your field? I would say it's almost a double-edged sword. I get invited to speak or to write a chapter in an edited volume, and oftentimes there is a presumption, or it's even directly stated: "We need a woman." We need a woman on this panel, or we need a woman speaker because the last three years we've had men. So you become the token female voice. Exactly. So while it gives me a chance to work, I also wonder if my efforts are judged differently. I wonder if people think, "Lynn has been asked because she's a woman, so I'm going to presume that her work is not that good, that she wasn't given this based on her merit or her argument, but just because she's a woman. There are still tremendous challenges for women in evangelical scholarship, and I'm just not sure how to go forward because of the tokenism mindset. I want to encourage female scholars, but I would want a young, male New Testament scholar to look up to me as much as a female New Testament scholar would. I want to move beyond thinking that I should just mentor women. I should also mentor men, and I think that would be the next frontier. What advice would you give to women who are interested in the field of biblical studies? Follow your passion. But I would say that to a man as well, though there are different challenges. Yes you are female, but you're also human…If you're interested in it, charge ahead. Don't let another person box you in as though you're the female voice. If you're really interested in Septuagint studies or Isaiah studies or in Historical Jesus studies, then just charge ahead with that and don't let somebody box you in with "Well you really should be talking about feminist issues or this or that." Think theologically, think hermeneutically, and take it one step at a time. By now many will know that Bill O’Reilly has written a new book titled Killing Jesus. The Fox News conservative pundit has already published two other books of the same genre – Killing Kennedy (2012) and Killing Lincoln (2011). I once borrowed an audio copy of Killing Lincoln that I listened to on a trip. I admit that I found it interesting. 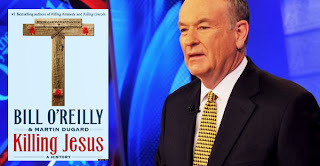 So, while I do not subscribe to O’Reilly’s flavor of politics and had never watched his O’Reilly Factor, I thought I would see what he had to say in Killing Jesus. Having finished the book I thought I would share my impressions with you. I am not sure where to begin with this book. I can’t provide a serious review because it is hard for me to believe that he published it with a straight face. This book is horrible on so many levels. O’Reilly claims that he and his co-writer, Martin Dugard, have uncovered a narrative about Jesus that is fascinating and frustrating; a story that has not been fully told until now in this book (pp. 2, 4). However, a simple read of any undergrad Introduction to the Gospels textbook would demonstrate that O’Reilly doesn't know what he is talking about. Of all the problems with this book it is his complete lack of understanding about history that is most frustrating. He claims to separate myth from history, but I don’t think he knows the difference. He certainly doesn't have a coherent methodology. Not only does he not understand how history writing works (both now and in antiquity), it is obvious that he makes it up as he goes along or he just gets it plain wrong. 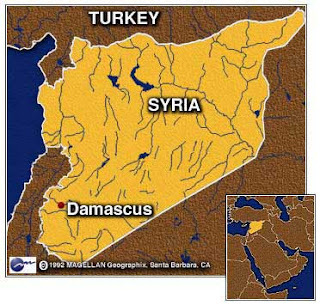 For instance, he in correctly writes that the northern kingdom of Israel was destroyed in 722 BC by the Philistines when even Wikipedia knows that it was the Assyrians that conquered Samaria, not the Philistines (p. 14). In another place he discusses Luke’s story of the twelve year old Jesus teaching in the temple (2:41-48). O’Reilly, who claims to be using “classical” sources in his research, says that the event took place on March 23, AD 7 . . . in the afternoon (p. 70). Really? He knows the date and the time? Where he got this information from is a mystery. 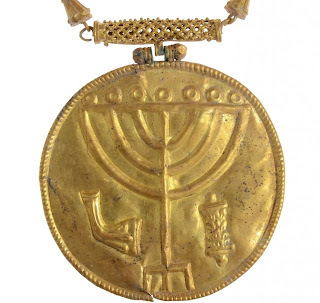 At times his “evidence” comes from Medieval Jewish sources that would have no bearing on the first century. Often he uses Josephus injudiciously. And there are some typos that make the whole situation even sadder. One such example is found on p. 241 where Pilate calls “the high priest and church elders to announce his decision.” Church elders!? Me thinks Mr. O’Reilly gets ahead of the story here. I could go on, but this handful of examples demonstrates that his claim to be a “historical investigator” doesn't hold up to scrutiny. Adding to problems of the book is the really bad writing. At times I could hardly look at the page because my eyes were in pain from what the authors clearly thought were clever sentences. Lines like “But the young Jesus is not long for this small town” (p. 81) or “The Plot to kill Jesus is about to unfold. But Jesus has other plans” (p. 171) and “Jesus travels with a dozen grown men, each with a man-size appetite” (p. 199). 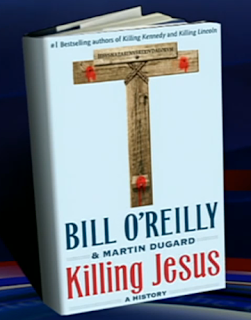 O’Reilly makes Jesus sound more like a hero in an action film than a traveling religious teacher. While I tried not to skip any pages, there were times I had to skim just to keep myself from banging the book against my head. One point that has been made by some reviewers is that O’Reilly’s Jesus ends up as an anti-tax Republican. While it is true that he does highlight the oppressive tax system of Rome, I can’t say that he beats that drum consistently. It certainly is there, but I don’t think that Bill has created Jesus in the image of the Tea Party. But it’s possible I missed something during those times when I had to read with my eyes closed lest they burst into flames. As one of my former students has pointed out to me, Bill probably didn't write this book. It was most likely written by a ghost writer, I assume his co-author Martin Dugard. On a recent 60 Minutes interview Bill claims that he was inspired by the Holy Spirit to write the book (see below). If this is true, it’s too bad the Holy Spirit didn't help him to do a better job of it. I have spoken to some who, although they may be fans of O’Reilly’s brand of politics, are suspicious of what he is trying to do here. I think they all realize that Bill can smell the money. I recommend that you NOT buy this book. You would be better served by sending the $20 to a local organization that provides outreach for the poor in your area. Finally, I admitted above that I had listened to and enjoyed Killing Lincoln. After reading Killing Jesus I now question everything that is in that book as well. I will be talking to a Lincoln scholar in the next week. that did not line up with what they were taught or believed. I can identify the look in their eyes when I drop "the bomb" that makes them feel like the rug has been pulled from under their feet. I can see the panic in their face as their brain tries to fit what I have just said into the paradigm they use to understand faith and the world. Some will simply ignore what I say. Others will dig in deeper. Some will mull it over for weeks if not months. Some might assume that I find a certain level of evil satisfaction in undoing what someone has thought or believed. But that's not the case. I still remember the conflict I experienced within as I studied the Bible and compared it what I had been taught and begin to realize that things were not as I had been taught. So I try to approach these difficult topics with a certain level of pastoral care while not backing away from it. I consider it my job to make sure that my students leave my class having really thought about what they believe and why. Today I ran across someone else who articulates well the situation many of us encounter when we study the Bible in an academic setting. Over at Pete Enn's blog Andrew Knapp has shared his own thoughts on The Christian College and the Crisis of Faith and why that might be a good thing. Here are a few excerpts. It seems reasonable, even inevitable, that 18-year-olds leaving home to educate themselves will encounter new ideas that challenge their preexisting beliefs and compel a reevaluation of the evidence. Young men and women who take their faith seriously and are honest with themselves will recognize that some of their beliefs are not tenable—they do not need to be defended with better arguments but modified or even discarded entirely. This can be difficult—we do not like to part ways with cherished ideas upon which we have built a worldview. But this is why students get educated. And this is why students have crises of faith. Many Christian colleges include something in their mission statement about seeking to strengthen their students’ faith. Although I appreciate the sentiment behind this, I fear it can have bad effects. Many young people have an immature faith. Schools do not do them a service by helping them embrace this faith via dubious apologetics. Examination should always precede entrenchment. This is why I am crushed whenever I hear that an institution has invoked the fact that “Bible Professor X caused some students to have faith crises” as grounds for dismissal. This is what good Bible teachers do! What if we extended this to other disciplines—if physicists had to fear for their jobs whenever they caused students to understand nature in a new way, or if philosophers came under fire whenever they encouraged students to question reality in a new way? Wanting to spare students from having faith crises implies that the students arrive at university with a perfect understanding of the nature of the Bible, in which case, we do not need to teach Bible classes at all. You can read the entire post here. I would be interested to hear your own stories and struggles related to this topic. Now, I suspect by coincidence, Mark Goodacre has posted installment 66 of his excellent NT Podcast in which he talks about oral tradition and the telephone game. 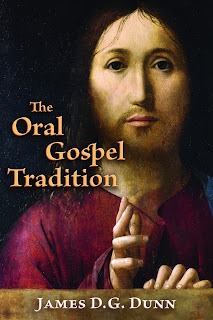 Mark explains how oral tradition may or may not have worked in relation to the gospel tradition. 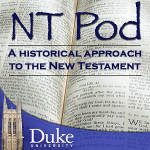 If you are new to New Testament studies or a professor looking for resources, I highly recommend Mark's podcasts as a way to teach important concepts in a short, yet informative space of time. You can find all of his podcasts at NT Pod. Jerusalem has sometimes been called the center of the world. Some have even referred to it as the navel of the earth. And even if you have never visited the city, it's hard to deny that it is one place in the world that attracts a lot of attention, as it has for more then 3000 years. 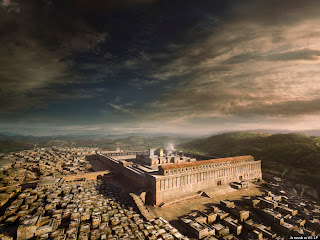 If you haven't had the opportunity to visit there in person you will get a chance to tour the city virtually. 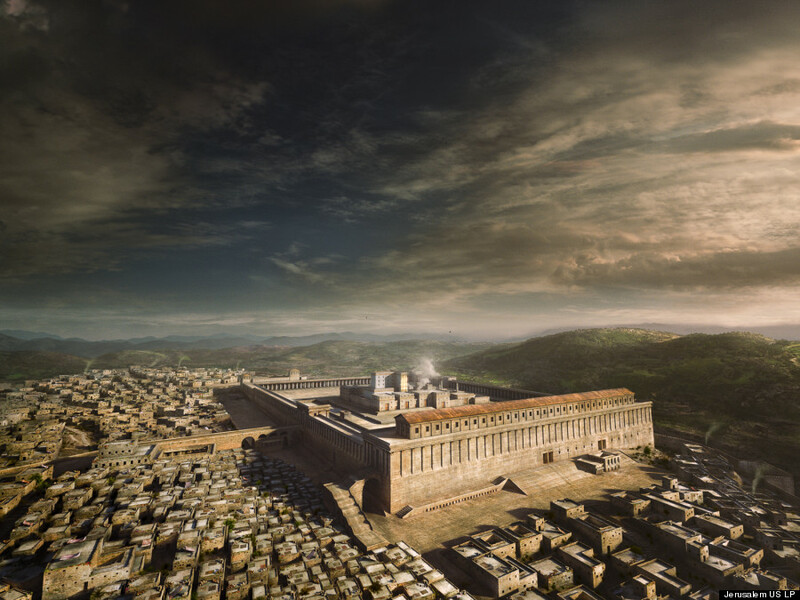 National Geographic has announced the release of a new film titled "Jerusalem" that will be showing in IMAX theaters across the world. Below is the trailer. You can search for theater locations nearest you, but I can already see that it won't be playing anywhere near Ashland, Ohio. Perhaps I will need to wait for the DVD. See the Huffington Post for more photos. For more than two hundred years New Testament scholars have researched and debated the sources used by the evangelists for what we now know as the four gospels. In the case of the synoptic gospels (Matthew, Mark, Luke) there is broad consensus that a literary relationship exists. 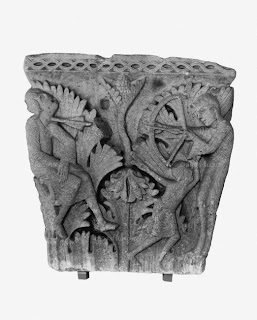 It is generally accepted that Mark wrote first followed by Luke and Matthew who both used Mark and other sources, some common to one another others perhaps independent of one another. While there are numerous variations in the theory, this is the most accepted one. One question that continues to drive the ongoing study is the degree to which the gospel writers used oral sources. There has been a lot of ink spilled over this topic. 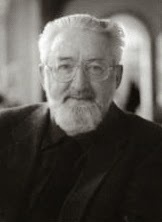 For more than a decade Professor James D. G. Dunn has been one of those advocating for a reconsideration of how oral tradition worked and how it may have impacted the authors of the gospels. While Dunn has written about this in various publications (e.g Jesus Remembered) he has not yet published a comprehensive overview of his years of research, until now. In a new book about to released by Eerdmans on October 3rd, Dunn brings together fifteen different essays that provide an in depth look at the status of oral tradition in gospel studies. Here is a description from the Eerdmans blog. Imagine the scene. 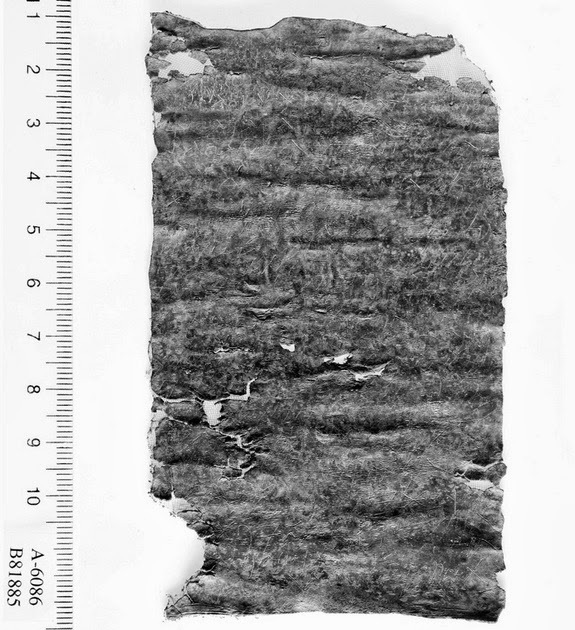 The Christian community to which Matthew was attached receives a copy of the Gospel of Mark. Is this the first time they have heard of the accounts of Jesus’ exorcisms or of the death of John the Baptist which Mark tells? Is this the first time they have heard Jesus’ Parable of the Sower, or Jesus’ teaching on purity, or the story of Peter’s confession of Jesus as Messiah, or Jesus’ teaching on divorce, or the account of Jesus’ entry into Jerusalem? Some seem to think so. If Matthew’s treatment of these same stories and teachings can be explained in terms of Matthew’s copying and redaction of Mark, then that explanation is regarded as a sufficient and complete explanation of such Matthean accounts. But is it historically credible that such traditions about Jesus were entirely unknown by the wider range of Christian churches until Mark collected them — from where? Is it credible to assume that such traditions about Jesus had only a very restricted circulation — to the few locations and apostles where Mark found them? Is it credible to assume that Mark was the sole channel through which such traditions passed into wider knowledge? After all, we are talking about forty years after Jesus’ own mission. Was knowledge of the Jesus tradition so minimal and highly restricted throughout that period? The more obvious scenario is surely that traditions of Jesus’ miracles and teaching circulated quite widely among the groups of believers in Jesus. That when new groups were formed the new believers had already heard traditions about Jesus and were eager to hear more. If this is indeed the case, it is hardly likely that the traditions about Jesus contained in Mark’s Gospel were wholly unknown to Matthew and his community. On the contrary, it is much more likely that they knew many of these stories and teachings, in all likelihood in varying versions. And it is also much more likely that in some cases Matthew preferred the version he knew best when writing his Gospel as an expansion (and perhaps even as an improvement?) of Mark’s. Many thanks to Eerdmans for sending me a copy ahead of the release date. I look forward to reading it and posting a review here in the near future. Need a scapegoat to help cover your latest "infraction"? There's an App for that. Filed under- "You can't make this stuff up". We are all familiar with the term "scapegoat." It is often used when a group of powerful people are accused of a crime, but escape the consequence by blaming it on some low level person. The aide or intern working for the senator or congressman is often referred to as the scapegoat, since they are the one who is blamed for the problem, usually without any basis. Many will not be aware, however, that the term actually comes not form the political arena, but an ancient religious practice. In Leviticus 16:20-22 the goat is part of an elaborate Day of Atonement ceremony whereby the people of Israel receive forgiveness for their sins. The passage of scripture and the ceremony it describes is among the more oddest one in the Bible. How a wandering goat removes the sin from the community is not clear, although it is probably more symbolic in nature. We are not certain how often this ceremony was practiced in ancient Israel. While the Day of Atonement is still celebrated by Jews around the world, I am not aware of any that include the ritual of the scapegoat. One wonders what kind of atonement theory this practice reveals?